BRITAIN: May Offers MPs Chance To Delay Brexit - Joe.My.God. 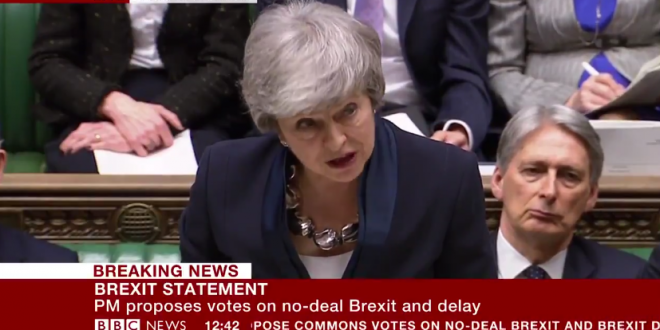 Theresa May has told lawmakers in the British parliament that they will get a chance to delay Brexit if they reject her deal again next month. It’s a significant development that could see Britain’s withdrawal from the European Union pushed back past the March 29 deadline, and prevent a deeply uncertain scenario in which the U.K. would quit the bloc without any kind of customs deal.